A popular four-star resort in Mauritius, Mauricia Beachcomber is a great hotel for families who look for holidays with a lively vibe. The resort is located in Grand-Baie, a tourist hub popular for its many shops, attractions and nightlife. 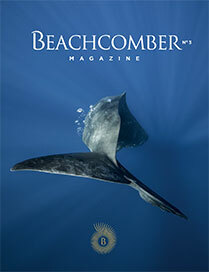 Mauricia Beachcomber provides a range of different accommodation categories. The hotel has even dedicated an entire section of the gardens to create a self-contained village of Family Apartments which focus on a large pool reserved for their exclusive use. Not only does it ensure families have privacy, it also encourages children and parents to socialize with other guests who have the same profile and interests. Like all Beachcomber hotels in Mauritius, Mauricia Beachcomber provides a range of free land and water sports along with two large pools which occupy the resort's centre. The resort also has a lovely spa with special massages for children. Providing extra value for money, the Mauricia Beachcomber also offers an optional all-inclusive package to guests. It is a great option for families who want to indulge during their holiday in Mauritius.